Few things are as exciting and as significant as someone’s wedding day. You’ve picked the outfit, shopped for the perfect gift and now it’s time to put pen to paper. Whether you’re family, a friend, a work colleague or a casual acquaintance, what you write in the wedding card is of special importance. Make sure what you say is lasting and meaningful, as it just might be saved for years to come. Prepare a card to either bring with you to the wedding or mail to the happy couple’s new address shortly after the big day. 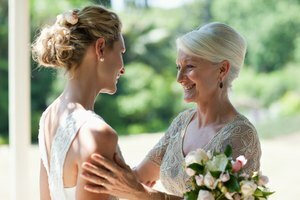 If you’ve had a gift sent directly from their registry, bringing a wedding card to the event itself is a nice gesture – after all, you don’t want to show up empty-handed. 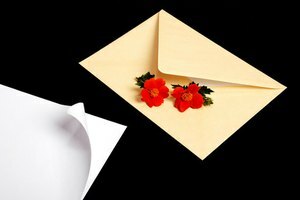 Sometimes sending a wedding card is required if the couple has a destination wedding, and you’re unable to attend, or if they've eloped and the news is just reaching you. "Congratulations, Amy and Eric! You are a beautiful example of what true love looks like. Thank you for including me in your special day! Warmest wishes for a lifetime of happiness." "Best wishes as you begin your new life together! You two are the most adorable couple. Thanks so much for your friendship and for allowing me to celebrate this day with you. May your marriage be full of love, joy and laughter!" It used to be considered a faux pas to say “congratulations” to the bride on her wedding day, as it implied she was lucky to land a man. Thankfully, that rule has changed with the times. It’s more than appropriate to wish her congratulations, although you can play it safe with the more formal “best wishes” if you like. Point out her beauty and radiance, and, if time permits, share what you most enjoyed about the ceremony to let her know that all the hard work and planning paid off. While it may be tempting to browse the aisles of a home store for whatever jumps out at you, most couples appreciate your referencing their wedding registry. Find out where the soon-to-be betrothed have set up their registry and look for something on the list that you’d feel comfortable giving. Personalized gifts – think pillows, wine glasses or wall hangings – are good ideas too, but couples can sometimes get too many of those and not enough of the basics. Use your best judgment; you’ll likely have a good sense of what they most need after consulting the registry. Kole, Stacey. "What to Write in a Wedding Card." 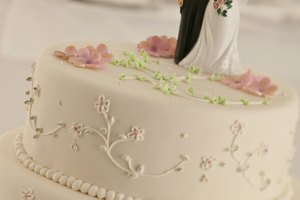 Synonym, https://classroom.synonym.com/what-to-write-in-a-wedding-card-13709354.html. 23 February 2018.